The commercial property that houses your business is essential to your operations. It’s what keeps the show on the road. But, unfortunately, commercial property is prone to problems, just like any other type of property. One of the biggest complications is what type of roofing to buy. 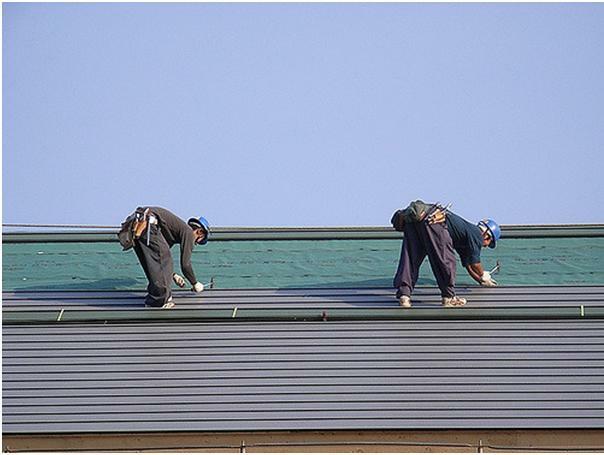 Here are some commercial roofing tips you need to know. The kind of roofing you choose for your commercial property matters a lot. Most new commercial roofs are made from metal, like steel or copper. The reason for this is that metal roofs tend to be highly durable and long lasting. And that means that companies don’t have to spend as much time worrying about maintenance. Another common option is to choose tiles, made from rubber or clay. These tend to be a little cheaper than installing full metal sheets. But they are also slightly less durable. These are all considerations that your business will need to weigh up when choosing a roof. Roofing is something that is best left to the professionals. Always make sure you hire a bona fide commercial roofing company that is able to deliver the specification you need. Great roofing companies will consult with you beforehand. Also, make sure that you call in the professionals for doing routine maintenance on your roof. Amateurs risk serious injury and death on your premises. And you could end up being held responsible for any accidents. Your whole operation depends on staying warm and dry. But if there are problems with your roof, you won’t be either of those things. Make sure that you inspect your roof at least once a month and look for problems. If you have a metal roof, check that there are no obvious cracks in the metal itself. If you have a tiled roof, look out for things like missing tiles. Missing tiles can lead to bigger problems down the road, so they’re best dealt with as soon as possible. Roofs, like machinery, do wear out after a certain length of time. So sometimes, despite your best efforts, your roof will need replacing. One of the first signs that there is something wrong with your roof is that it has a leak. It could be that your roof is leaking from a skylight. Or it could be that the way your roof was originally installed was wrong. Leaking roofs mean that your place of work is at risk of damp. And it means that you need to do something to sort out the problem. Good roofing contractors should be able to offer advice about what to do next. It may be the case that the leak can simply be patched. But if the issue is more structural in nature, it might require a whole new rethink. In conclusion, it’s important to keep your roof in the best condition possible. That means that you have to be careful when choosing a roofing contractor. It means being vigilant of any problems. And it means choosing the right material for your purposes.